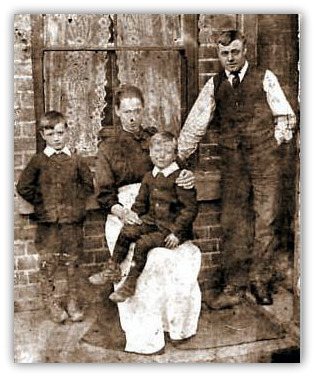 Philip's Great Grandfather, John Smith (left) was a hanger-On at Underwood Pit. He put the full tubs in and took the empty tubs out of the cage at the shaft bottom, making about 4 shillings per 12 hour shift. 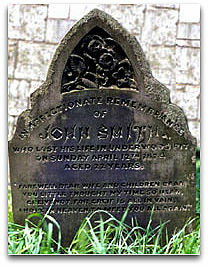 He lost his life on Sunday 12th April 1874, aged 22. There was a fire in the main intake road. He went with George Ball, aged 38 and a Stallman, to release the pit ponies in the return road but was over come by noxious gases, both miners died before being rescued. Thanks to Charles Snarski for the Photo. The Coal Mines Regulation Act of 1887 contained the first national legislation to protect horses working underground. The section referring to the horses was minimal but it allowed mines inspectors to investigate the treatment of horses and consider whether haulageway roofs were high enough to prevent injury to the horses' backs. Unfortunately injuries to pit ponies were common, and frequently they had to be put down because of broken legs and their feet getting stuck or damaged in the points in the tub rails. The above legislation was not enough and protest groups such as the National Equine Defence League and the Scottish Society to Promote Kindness to Pit Ponies put a lot of pressure on the government resulting in a Royal Commission Report in 1911. The condition of stablesDaily records had to be kept A competent horse-keeper was required for every 15 horses. Many people, mistakenly believed that pit ponies eventually went blind underground but in fact the use of blind ponies was expressly forbidden by law. Unfortunately some ponies did go blind but it was from old age or they injured their eyes at work before the introduction of effective leather headgear with eye. Later, in 1949 and 1956, further legislation was brought in to regulate working conditions for pit ponies and rules governing their welfare.Now, by law, ponies could only work a maximum of forty-eight hour a week, except in exceptional circumstances. This meant that a pony employed to carry supplies or on repair work frequently worked no more than three or four hours in a shift. A pony was not allowed to work for more than two shifts in 24 hours or more then three shifts in 48 hours.A shift was limited to 7.1/2 hours or less. Each pony had its own driver who was responsible for it and might work with the same pony throughout its working life. Every pony leaving the stables had to be recorded in a Mines and Quarries Act record book. The Chief Horse-keeper had to sign the book each day before sending it to the surface to be initialled by the Colliery Undermanager and Manager. Although life in the coal mines has never been easy for either men or ponies, few working horses have been given better care and respect than the pit pony. The miners also respected the sixth sense that the ponies seemed to have for danger. Many miners were saved from death or injury because their ponies suddenly stopped and refused to go on, then suddenly the roof collapsed in front of them.The task to be done governed the breed and size of the ponies used. Ponies up to 1.7 meters high or 16 hands were used close to the shafts, where many tubs had to be kept moving and the roofs of the haulageways were higher. Ponies up to 1.4 meters high or 13 hands were employed in the main haulageways with their higher roofs. Ponies around 1.2 m meters high or 11 hands tended to be used near the coal faces. Some stallions were used but geldings were preferred, while mares were very unusual underground.Both Shetland and Welsh ponies were common, as were Dale horses but breeds varied considerably through out the coal fields. During times of high production and pony shortages very high prices could be paid for good animals meaning that ponies could be imported from as far away as the USA, Iceland and Russia.The selection of each pit pony was carefully considered before it was accepted for work in the mines. For preference the pony had to be between 4 and 5 years old, certainly no more than 14 years old. He had to be sure-footed, strong, low set and heavy limbed to cope with the heavy, relentless work, and he needed a low head to cope with low roofs and steep roadways.The temperament of the pony was very important, a good pit pony had to be even-tempered and kind, more lively horses were a danger to the drivers and could cause injuries to others and possibly fatal accidents underground. Nervous, timid or shy horses took too much time and expense to break in.Before a pony started working underground, he went through several weeks training. This time also gave the trainers time to observe the ponies and remove the unsuitable ones before going underground. Once underground, ponies pulled empty tubs or carried materials such as pit props into the workings then brought back tubs full of coal to the shaft.The ponies were expensive and in the interests of the pits continued, uninterrupted work they needed to be kept strong and healthy. 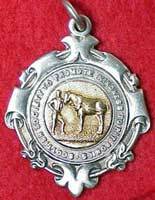 Their stable conditions were very important and much was done to keep the ponies as comfortable as possible which in turn also lengthened their useful working lives. The ponies had to be able to raise their heads in the stables, the height of the roof was to be seven feet when a five foot horse was in use and the horse should be able to relax its muscles because it had to work all day carrying its head low. Fire prevention meant that as little wood as possible was used in the stable.In 1913 records show that in the UK 70,000 horses were working underground. It was the peak of employment for horses underground. After that, as mechanical coal cutting and haulage systems became more efficient the use of pit ponies declined.Horse transport could not keep pace with the increasing production of the new coal cutting machines and they began to be replaced by locomotives then conveyors. By the end of the 1930s underground pony numbers had declined to around 32,000. 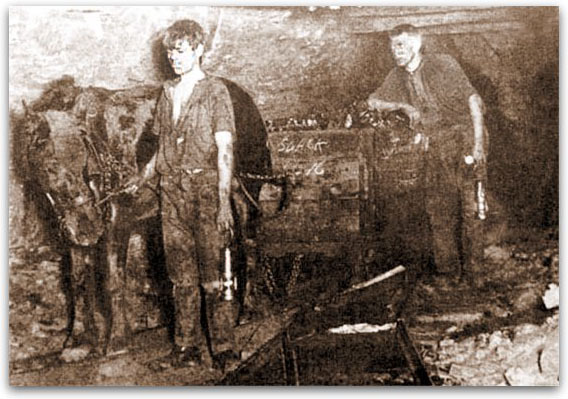 When the coal industry was nationalised in 1947 there were only 21,000 pit ponies and numbers continued to decline so that in 1952 there were only around 15,500 working in major mines in the UK in 1984 and by 1962 there were only 6,400. The numbers continued to drop to token numbers, by 1973 there were only 490 and in 1984 there were a mere 55 ponies still working.